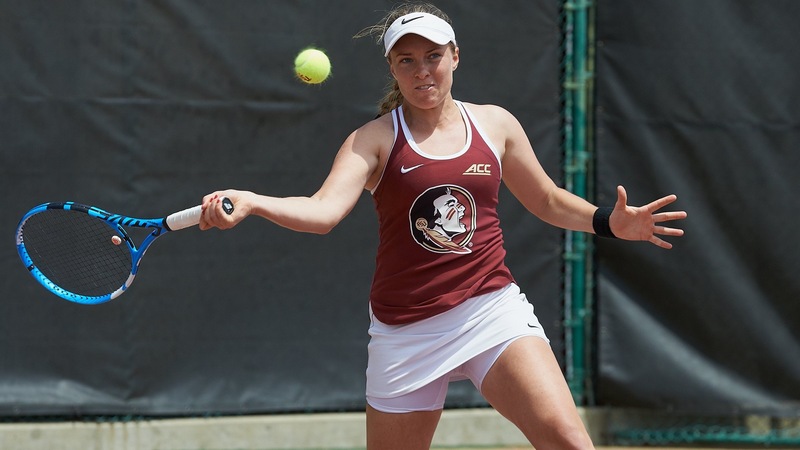 Florida State men’s and women’s tennis will be making the trip to Cary, North Carolina for the ACC Tournament. The tournament gets underway on Wednesday, but the FSU women won’t play until Friday after earning a double-bye as the No. 3 seed. FSU finished the regular season with a 19-5 record and an 11-3 mark in ACC play. The Seminoles will face either sixth-seeded Wake Forest, No. 11 seed Boston College or No. 14 seed Louisville. FSU defeated each of those opponents during the regular season. The FSU men will open play at 11:30 a.m. EST on Thursday. The seventh-seeded Seminoles will No. 10 seed Duke. The winner will face No. 2 seed Virginia. FSU finished the regular season with a 17-9 record and a 6-6 mark in conference. Thursday’s contest will be a rematch after Florida State topped Duke 4-3 in the regular season finale on Sunday.